Today I continue my series on the structure of short stories. It is easier to find beta readers for short stories than it is for novels. A reader can finish a two or three thousand word short story in a few minutes and so requests for feedback are much more likely to be successful. Writing a short story can help cleanse the palate after finishing the first draft of a novel. Try writing a short story between the first and second drafts of a novel, it will help take your mind off the novel and will help you come back to it with fresh eyes. Writing short stories can improve one’s writing. Writing is like any other skill: use it or lose it. The good news is that through practice we can develop and deepen our skills. In a short story every line has to count. Every line has to either develop character or move the story along. Anything that doesn’t do one of those two things will stand out like a neon strobe light in the dark. Also, short stories provide excellent opportunities for trying out new and different techniques. For example, writing in first person present tense, or writing a story from the perspective of the villain, or trying to increase reader identification by using free indirect speech. In the first post in this series I outlined six parts that most short stories will have, especially genre stories: Setup, First Complication, New Plan, Major Setback, Climax and Wrap Up. Last time we looked at The Setup so today let’s look at The First Complication. Last time we talked about the importance of the main character of the story--the protagonist--having a concrete, clearly defined goal. In the First Complication the protagonist’s plans run into a snag as an opposing force (the villain) derails the protagonist’s attempt to achieve her goal. It’s difficult to discuss the First Complication without also talking about the Call to Adventure, so please indulge me for a moment. In The Matrix Neo’s Call to Adventure was issued by Trinity in the nightclub scene at the beginning of the movie. Neo’s Call to Adventure is a challenge to want the truth badly enough to be willing to risk everything. But The Call isn’t what we’re interested in at the moment, we’re interested in the First Complication, the first roadblock to this goal. When Neo arrives at work the next day Agents come to take him into custody. Before the Agents arrive Morpheus gets in contact with Neo and tells him he has a choice: leave the building with the men who have come for him (the Agents) or climb out onto the window ledge and follow it until he reaches a scaffold. He is to then use the scaffold to reach the roof. The Complication is the Agents and their pursuit of Neo. Trinity has asked Neo whether he wants to find the answer to the question, “What is the Matrix?” Now we find out how badly Neo wants the answer: What is he willing to risk? Does he want to know what the Matrix is badly enough to risk everything? It turns out the answer is: No. Neo says, “This is insane!” and retreats inside the building to be hauled away by Agents. The First Complication is a setback but not an All Hope is Lost moment. It is the first resistance to the hero achieving his goal after he has accepted the Call to Adventure. a. It should give the reader a good idea of what the protagonist is up against, of what the opposition is. b. It should raise the stakes. c. It should tempt the protagonist to give up his goal. The First Complication isn’t a single point in time, it is a sequence, a daisy chain of scenes and sequels. Sometimes when I think about the important turning points in a story I think of them as discrete moments in time, but these turning points are usually sequences of significant events set off by an unusual occurrence. What we have been discussing, the First Complication in The Matrix, is a good example of a startling occurrence setting in motion a chain of events. The event that triggers this sequence is Neo receiving a package, finding a phone inside, and then (this is the startling part) the phone ringing the second it is unwrapped--just as though he is being watched. That unusual event is like a push that knocks over the first domino in the sequence, in this case a sequence of scenes. In our example the sequence ends with Neo waking up in bed from what seems like a nightmare. Each scene in that sequence took Neo farther away from his comfort zone, from the Ordinary World, and drew him further into the Special World of the adventure. Then, at the end, he is snapped back into the Ordinary World of his mundane reality. At the First Complication introduce opposition to the protagonist achieving her goal and also raise the stakes. For example, let’s say the protagonist’s general goal is to make their grandmother happy. Her concrete goal is to raise enough money to pay off the bank so that her grandmother’s home won’t be foreclosed. The protagonist’s initial plan: Raise the $150,000 needed by putting on a telethon at the local television station. The opposing force: A land developer who wants to buy the grandmother’s land from the bank. The complication: Not enough people give money. Why? Because the opposing force, the land developer, blocks all incoming calls at the local television station. By the time the protagonist realizes what’s happening and gets the phones working again the telethon is over. We can up the stakes by saying that when the protagonist’s grandmother hears about the land developer’s dirty tactics, she has a heart attack and is rushed to the hospital. It turns out that Gran will be fine, but she doesn’t have medical insurance, so what money she had saved is now gone. Instead of having to raise $150,000 they now need $300,000 and the bank has used a technicality to move up the date. That’s it! What is the First Complication in your work in progress? What is your protagonist’s goal and how do you raise the stakes? 1. For the purposes of this article I’ve made the opposing force a villain, but there are many other options. The opposing force could be society, or nature, or even the protagonist herself. 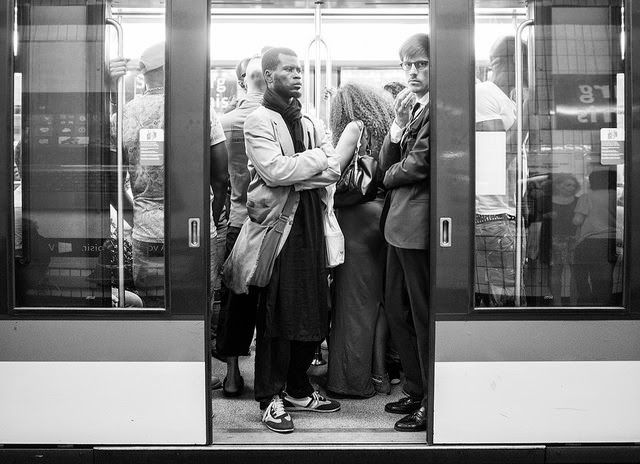 Photo credit: Untitled by Thomas Leuthard under Creative Commons Attribution 2.0.